Ah, perfume making! It’s so romantic, so poetic…so FULL OF MATH. Perfumers often need to dilute their materials to 20%, 10%, or sometimes even 1% or .5% or more before adding them to a blend. This serves a number of purposes – from wasting less material while blending to making it easier to work with trace amounts of strong-smelling materials. What material to use as a diluting agent? Typically, you’ll want to dilute in perfumer’s alcohol. You should dilute in whatever medium you would be working in – so if you are making oil-based perfumes, dilute in oil. Some people prefer to dilute in Dipropylene Glycol (DPG), which is a common odorless solvent that is completely soluble in water, alcohol, and some oils – and it also is a humectant (attracts water) and has fixative properties. A strictly all-natural perfumer will not want to use DPG since it is a synthetic, but if you’re concerned about safety, don’t be. According to the Environmental Working Group, DPG is safe / very low risk. An important consideration is that when professionals are talking about dilutions in the perfume industry, they are talking about diluting by weight rather than by volume. So assume all dilutions on any materials you purchase or for any formulas are listed in weight/weight. Creating a dilution from 100% pure raw material is relatively straightforward. In the chart below are the ratios in generic “parts” – this would work for drops, ml, grams, etc. as long as you keep the units of measure consistent – but as I mentioned, most professional perfumers work by weight (grams) – so let’s assume this is grams. If you don’t want to do the math, here is a weight/weight dilution calculator. You can also check out this nice tutorial on dilutions and blending from Chris of Pell Wall Perfumes. He gives a very thorough step-by-step approach. Okay! So let’s figure this out. How do we dilute a 50% solution to a 20% solution? I’m about to do some math. If, like me, math makes your head hurt – you can skip the pain and go use this handy-dandy dilution calculator. How many grams First solution? How many grams diluting agent to add? How many grams final solution? That’s it! Do you have a better method for calculating dilutions? If so, please comment! I’d love to hear from you. Perfumer’s Apprentice – Natural and synthetic educational kits. Also supply a kit to accompany Mandy Aftel’s book, Essence & Alchemy. Pell Wall Perfumes – Chris Bartlett offers starter kits and great advice about which materials to begin with. Creating Perfumes – Aroma study kits. Aftelier* – Quirky selection of unusual perfumers botanicals. Fast shipping. No minimum. Aqua Oleum – Excellent UK source for essential oils from Julia Lawless. Aromatics International – Expensive oils connected with the Aromahead Institute. Site has excellent information. Eden Botanicals* – EOs, CO2s, Absolutes. Excellent quality, wide selection, no minimum purchase. Enfleurage – Aromatics from the natural world. Specialize in Frankincense. Also offer hydrosols and more. Liberty Natural Products* – Amazing selection. Includes isolates and more. $50 minimum. Nature’s Gift – Just tried them for the first time for more aromatherapy-type oils. Also have wide selection of hydrosols, carrier oils, waxes and butters. Well researched and reasonable prices. White Lotus Aromatics* – Gorgeous, superior quality naturals personally sourced from around the world. $100 minimum. *Companies with an astrix * are the ones I order from most frequently. Eden Botanicals is my “go to” supplier. Also helpful: Providence Perfume offers a useful review of some of the best/worst essential oils she’s ever purchased. 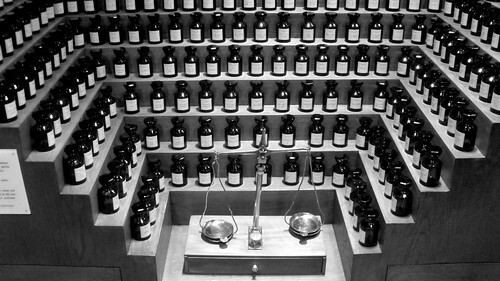 Perfumer’s Apprentice – Synthetics, naturals, and a few basic supplies. Easy to use. No minimum. The Good Scents Company – Cumbersome ordering process, but good products. Amazing database with info on any aroma chemical. Creating Perfume – Good supplies at reasonable prices. Glory Bee – Organic beeswax. Mountain Rose Herbs – High-quality beeswax. Carrier oils are for making oil-based perfumes, solid perfumes, or other body products. Do not add them to alcohol-based perfumes (they will separate and make a mess). Some carrier oils will go rancid fairly quickly. Fractionated coconut oil and Jojoba oil are two of the longest-lasting. For alcohol-based perfume, use perfumer’s alcohol a.k.a specially denatured (SD) alcohol, which is 95% ethanol that has been denatured with an additive. The denaturing is done for regulatory reasons to prevent consumption. When purchasing perfumer’s alcohol in the United States, use 40b, which is denatured with t-butyl alcohol & Bitrex. Do not use 39c, because it contains diethyl phthalate (DEP), a.k.a. phthalates for which there are serious health concerns. For natural perfumers, there are also organic alcohols that have been denatured with natural materials. If you are not planning to sell your perfume, you can also use Everclear / Pure Grain Alcohol instead of Perfumer’s Alcohol. It should be 190 proof (95% alcohol) ethanol. In the USA, PGA is available for purchase in some states but not all. Some natural perfumers will also use Vodka for perfume, but it’s not as desirable as Everclear/PGA due to the lower alcohol content. For cleaning, you can use Isopropyl alcohol, Vodka, or PGA. Creating Perfume – Good prices for small quantities of 40b perfumers alcohol. USA. Mistral – Perfumer’s alcohol in the UK. Alchemical Solutions – Organic alcohol. USA. Corn, wheat, grape, or cane. Grain alcohol has the most neutral smell. Cane is cheapest, but will have a slight malty odor. This can be minimized with the addition of dipropylene glycol (DPG). You can also buy all-natural denatured alcohol from them, but only in very large quantities. DPG is an odorless, colorless synthetic carrier oil that is perfect for diluting fragrances to 10% or 1% to be used for sniff tests / educating your nose. It is oil-based, but water and alcohol soluble. Best Bottles (Nemat) – Nice selection of classic perfume bottles, apothecary bottles, and more. No minimum. Specialty Bottle – Boston rounds, vials, tin containers, and more. Great bulk prices. Fast shipping. No minimum. SKS Bottle & Packaging – Good bulk options for cases of bottles. Online Labels – nice selection and good bulk prices. Expensive for individual sheets.